The Rock Terrarium Background from Exo Terra is an easy to cut background that has an incredible natural look. It creates a multi-dimensional habitat that is ideal for climbing reptiles or it can be simply used to beautify the natural look of the terrarium. 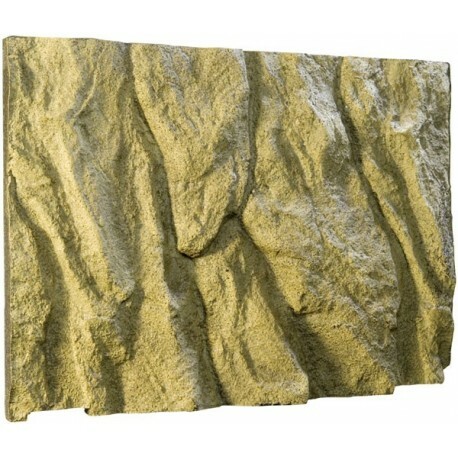 The Rock Terrarium Background from Exo Terra is an easy to cut background that has an incredible natural look. It creates a multi-dimensional habitat that is ideal for climbing reptiles or it can be simply used to beautify the natural look of the terrarium. 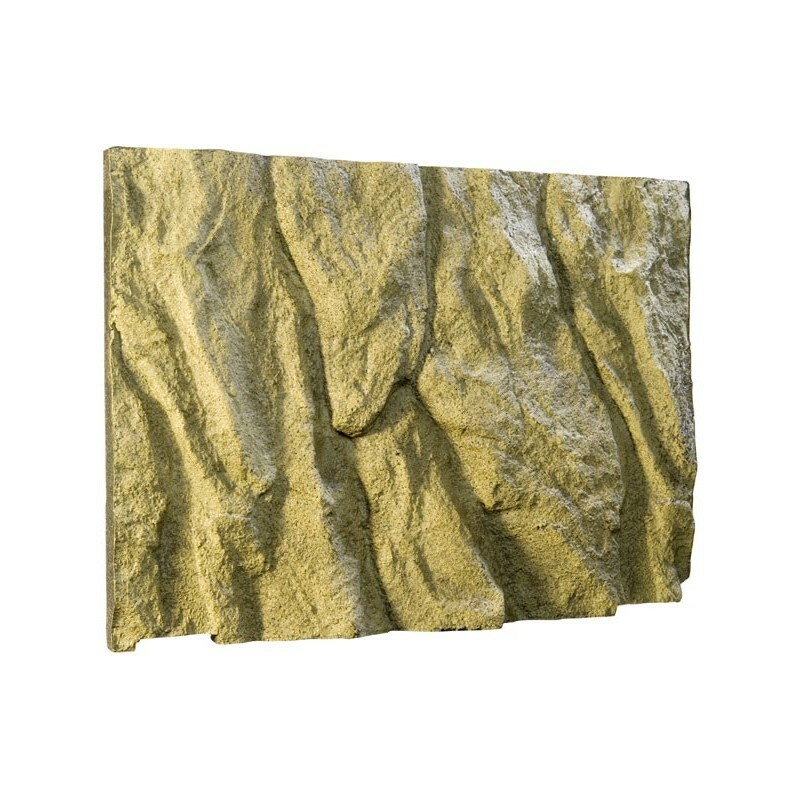 Like all Exo Terra natural terrarium decorations, the colour and texture of the Rock Terrarium Background has been chosen to create a perfectly harmonized environment, humid or dry. The deep ridges in the back are perfect to hide wires or tubing from pumps or Heat Wave Rocks. The background is made from black polystyrene, so it will not be obvious when the background is accidentally damaged (white polystyrene is very obvious when the coating is damaged). Polystyrene has the advantage of providing insulation and is easy to cut to fit any size of terrarium.